Occasionally HapYak Support may as you to open your the console in your browser and take a screenshot or screenrecording of what you see. 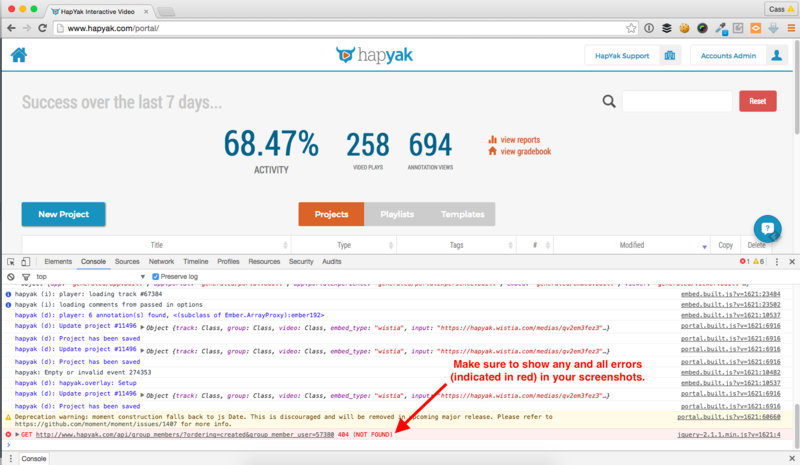 This helps the HapYak team quickly reproduce the issue and determine what the root cause of the issue is. Make sure to include any and all errors (indicated in red) in your screenshots. You may need to scroll down on the Console to see the whole log.